These posts cover the future of technology and how it can affect our lives in a positive way. Technology has shaped the course of human history, and will continue to do so as long as humans exist. Elon Musk is trying to revolutionize large and small scale manufacturing and design through cutting edge hand gesture and 3D printing technologies. I believe we’re on the verge of a major breakthrough in design and manufacturing… in being able to take the concept of something from your mind, and translate that into a 3D object really intuitively on the computer. Musk and SpaceX are partnering with companies like Leap Motion for hand gesture technology that may one day even be used with Oculus Rift virtual reality systems to develop realistic 3D virtual models. 3D printing has gained popularity recently as the cost and time saving potential is being realized by individuals and companies alike. Musk is joining the likes of NASA in utilizing 3D printing technology and reaping the benefits. NASA who has been printing rocket engines cheaper and faster than ever is among the technology’s biggest proponents. 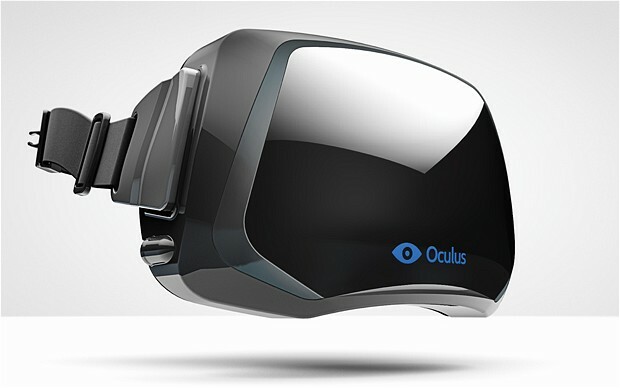 Let’s hope this trend continues to push the technology to new heights and the cost to new lows. 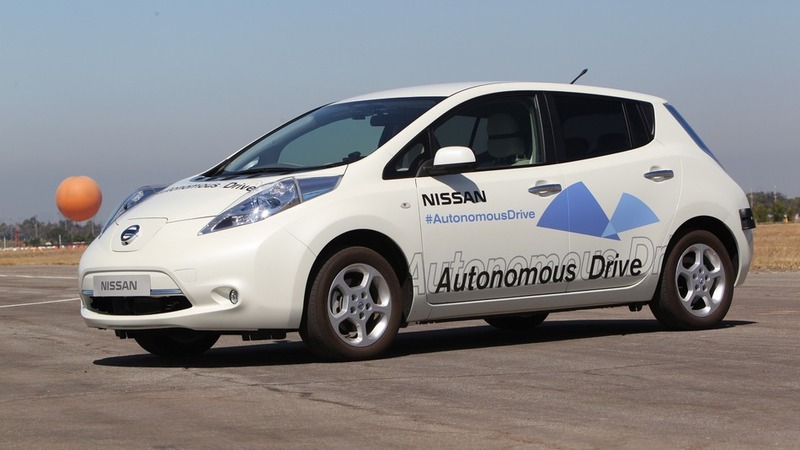 Making a huge splash in the transportation industry, Nissan has just announced they will offer multiple driverless cars by 2020. The Japanese auto-maker has jumped into the race for “autonomous vehicles” by showing off a driverless prototype of the Nissan Leaf on a military base in Irvine, CA. Google has long been the name associated with driverless car technology, but according to the press release, Nissan has been working on this innovative transportation technology for years alongside top universities MIT, Stanford, and Oxford. 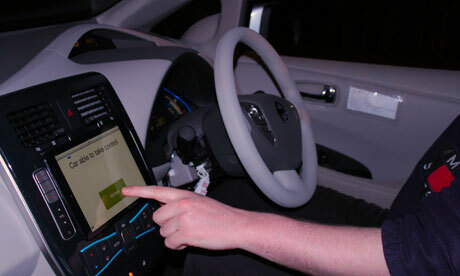 The vehicles operate differently than the cars developed by Google, in that they utilize laser scanners and artificial intelligence, but do not require internet access. Both companies however, have similar reasons for developing the technology as it aims at eliminating crashes, reducing carbon emissions, and even offering more mobility and freedom to the elderly. I love this project for the good that it can do for humanity in many different ways, and I hope that others follow suit and pursue humanity friendly business projects. 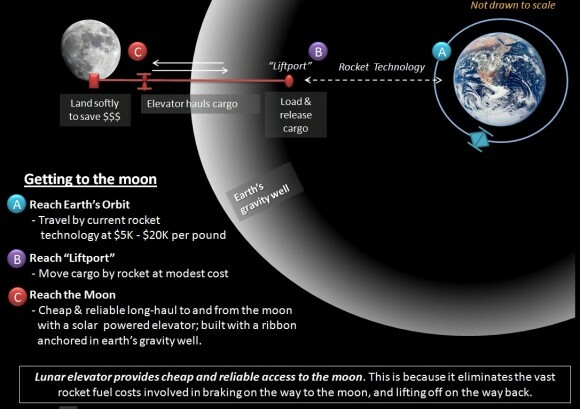 A new lunar-elevator to transport robots, people, and supplies to the Moon is currently in development by The LiftPort Group, a private company led by CEO and former NASA researcher, Michael Laine. The idea is different from other space-elevators in that it will be built on the Moon and not on the Earth. This is beneficial as the lack of gravity and harsh atmosphere means that more readily available and cheaper materials could be used in construction. Spacecraft would launch from Earth, dock on the elevator platform, and take the rest of the journey via the transport pod. This reduces costs tremendously by eliminating the fuel needed to land and the take off from the Moon’s surface. The company has a Kickstarter campaign they started in order to raise funds and awareness. The first step is to build a 2 kilometer test elevator that will be suspended by balloons. If that test is successful, and everything goes according to plan, construction will begin in 2020. I am beginning to believe that society is becoming excited by space again. Despite the discontinuation of the space-shuttle program, NASA has persevered, and is keeping busy trying to build a warp drive. Meanwhile, private companies such as Elon Musk’s SpaceX are making a massive impact on the future of spaceflight and inter-planetary travel that even many countries cannot compete with. 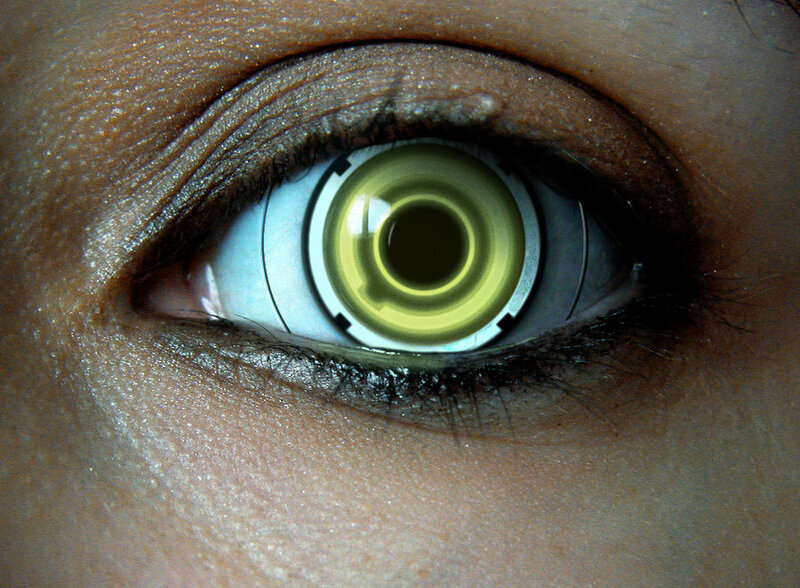 New contact lenses have just been developed that can actually zoom in 2.8 times for anyone wearing them. Current designs require that the user wears a pair of glasses to activate the magnification, but I would imagine that will not be the case indefinitely. The research was led by Eric Tremblay and Joseph Ford who believe the technology could be useful for those suffering from macular degeneration, a common cause of vision problems often leading to blindness. Beyond the medical application, there’s plenty of excitement around the use by those with perfectly normal vision. The ability to zoom in and magnify your vision with ease would be great, and I think at the right price, a lot of people would be interested. This would be great for jewelers or anyone working in detail like sculptors or painters, not to mention the possible military applications. Unfortunately, it may be some time before these are commercially available. The project is still very much in the research stage, but does expect to begin new clinical trials in November 2013. These aren’t the only hope for those suffering from visual impairment. Incredible trials with stem-cell technology have successfully restored sight to blind mice, and could has a great potential for human development. Anyone who has seen The Jetson’s has dreamed about having their own personal jetpack. 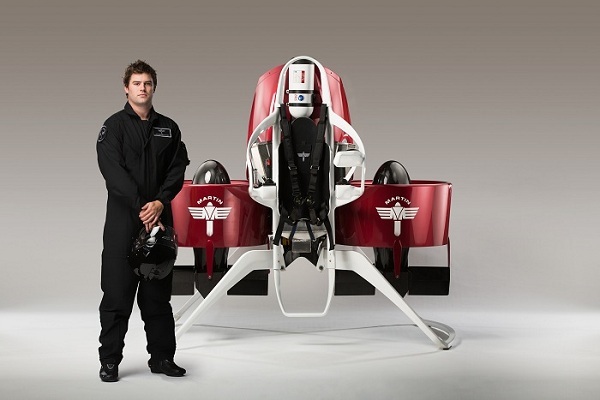 New Zealand based company Martin Aircraft is looking to turn that dream into a reality as they begin test flying their personal jetpack with real-life human pilots. The video below shows a higher altitude test flight done via remote control with a dummy pilot. The test was to demonstrate the emergency ballistic parachute safety system. “For us it’s a very important step because it moves it out of what I call a dream into something which I believe we’re now in a position to commercialize and take forward very quickly.” – Peter Coker, CEO of Martin Aircraft. The ultimate goal for the company is to begin commercial sales as early as mid 2015 at a projected starting price of around $100,000. You may actually begin seeing these as early as 2014 as there has been strong interest to utilize these for first-responder and military missions. 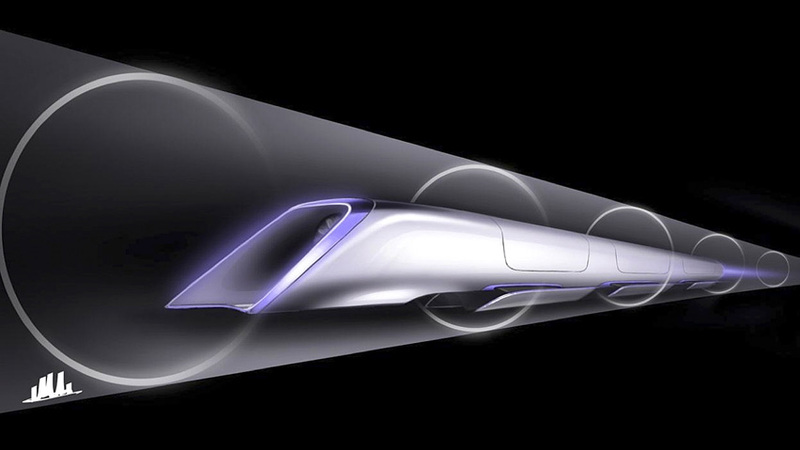 It’s been sometime since Elon Musk first made mention of the hyperloop. The announcement of the 800 mph ultra high-speed super “train” made big news last year when Musk first mentioned the concept, but we haven’t heard any more details since then. That is until yesterday when Musk released the details of his futuristic concept that cover some of the questions concerning the proposed system. The key advantages of a tube vs. a railway track are that it can be built above the ground on pylons and it can be built in prefabricated sections that are dropped in place and joined with an orbital seam welder. By building it on pylons, you can almost entirely avoid the need to buy land by following alongside the mostly very straight California Interstate 5 highway, with only minor deviations when the highway makes a sharp turn. The comparison made to rail is important to note. This concept only began in the first place as a response to California’ s proposed high-speed rail system. Musk believes the project to be among the most costly and least efficient high-speed transport system, and not innovative enough to represent the silicon valley region. When the California “high speed” rail was approved, I was quite disappointed, as I know many others were too. How could it be that the home of Silicon Valley and JPL – doing incredible things like indexing all the world’s knowledge and putting rovers on Mars – would build a bullet train that is both one of the most expensive per mile and one of the slowest in the world? 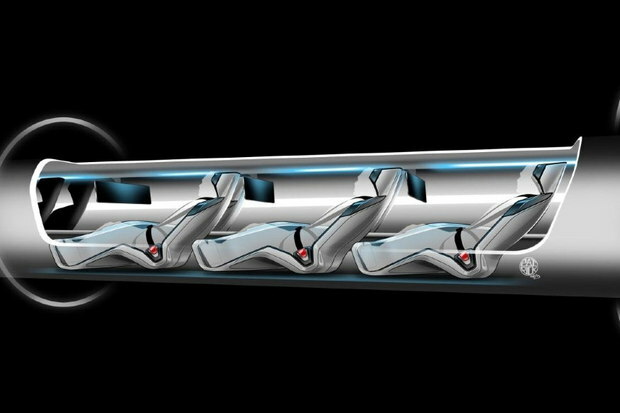 The rail system being referenced is estimated to reach over $100 billion in total cost, meaning that the solar-powered hyperloop would be four times as fast and ten times cheaper than this proposal. One innovation will make this even simpler to use than any currently proposed public transport systems, and that is the ability to also transport personal cars. With this idea, a passenger would simply drive their car into the large pod and drive off at the destination, no messing with rental cars or buses. There must however, be a downside to every story, and this one is no different. With his time being absorbed by CEO duties at both Tesla Motors and SpaceX, Musk has noted it is unlikely that he will be able to build the system himself. By releasing these plans to the public, he hopes that someone with the resources and know-how will be able to carry the idea forward. In a brief glimpse of hope, Musk hinted that if the idea is not picked up initially, he may build a prototype in the 3-5 year range more than likely. 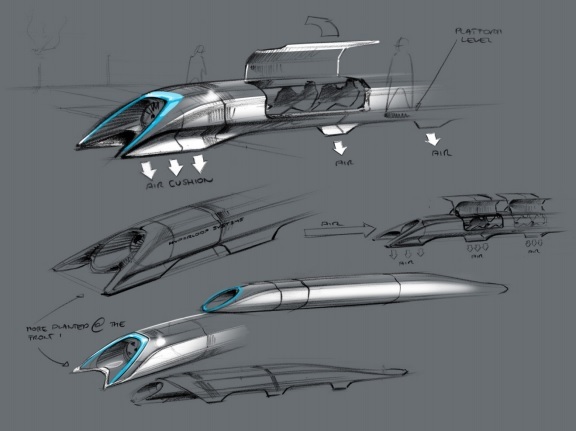 What is the future of public, high-speed transportation? Do you think we’ll ever see a hypertube type system in place? 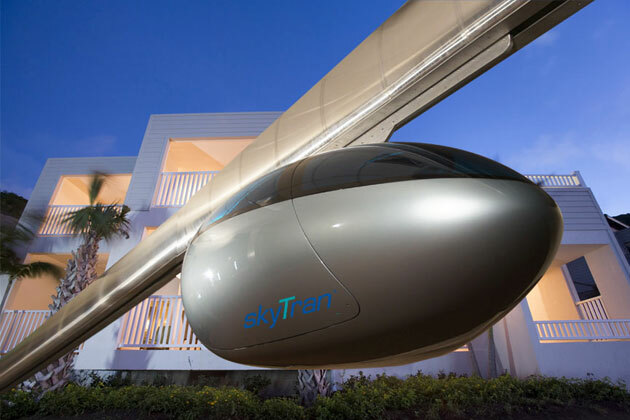 A California based company called Skytran, in cooperation with NASA, is developing the first magnetic levitation (maglev) public transportation system . The futuristic system, developed by Researchers at the NASA Ames Research Center, is comprised of two-seat pods containing a magnet which interacts with a coiled foil in the rail causing the pod to “float” on a cushion of air. This provides not only a smoother ride, but a quieter one as well compared to taxi, bus, and rail. Plans are to eventually outfit the guideways with solar panels which will result in a nearly energy net neutral system. In addition, construction costs are far less than conventional public transit since the guideways are built vertically and will cause smaller and fewer construction zones. 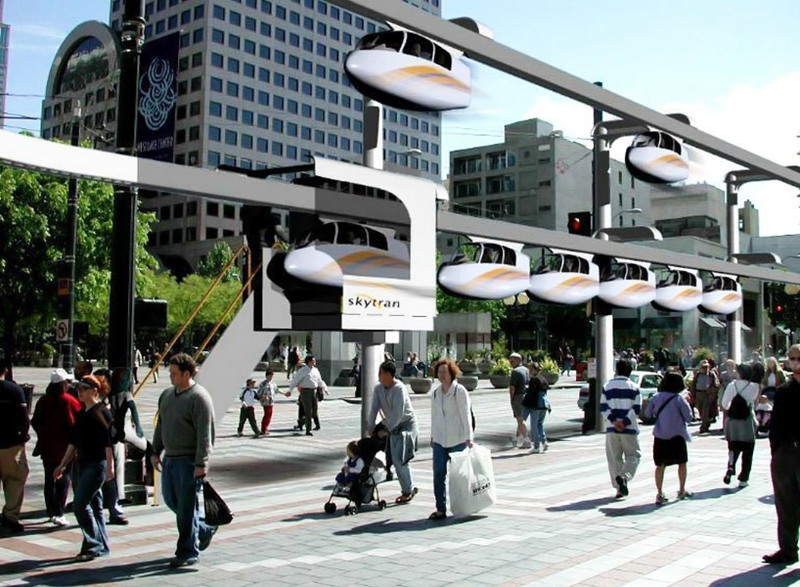 The pods are high-speed and can reach up to 150 mph, but will travel closer to 50 mph in city areas. Finding a pod will be a lot easier than calling for a taxi and cost about the same. You can request and schedule pods via a smartphone app that lets you enter the pick-up and destination locations beforehand. The boarding platform will be located on a side ‘acceleration line’ track that prevents traffic jams. The first of these systems is scheduled to be constructed in Tel Aviv, Israel by 2015 with other future locations in India and Indonesia in consideration. 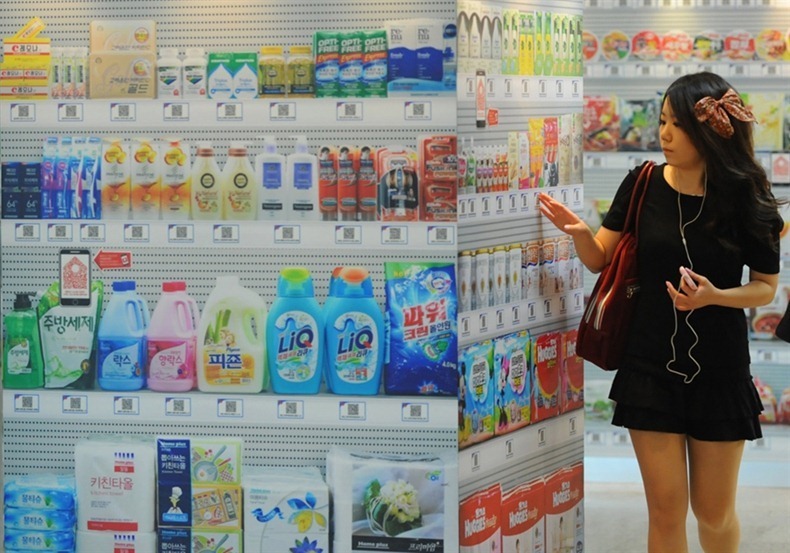 If you dread your weekly grocery store trip, then you will love this new virtual supermarket concept that just opened South Korea. Homeplus (Tesco) has developed this concept to reduce the time and hassle of shopping, thus freeing up valuable time for whatever your heart desires. It works with your smartphone via a specific app. You simply scan the items you want, and walk to the front to pay where your items are waiting for you, or you can even choose to have them delivered. “Products will be delivered at a time chosen by consumers, and delivery fees will range from 1,000 won ($0.92) to 4,000 won depending on the hour of the day,” Sunny Jung, an official at Homeplus. I would absolutely pay them extra if they would put them away for me and straighten up my pantry… just saying. One of the coolest things is that you can shop anywhere by reordering what you need through your phone. You could search for the item in your history or simply scan the barcode. The smartphone market is booming and this seems like a good fit for the time. As things continue to progress with technology and it becomes ubiquitous in our everyday lives, I don’t think physical stores will be needed in the future. For the time being though,virtual supermarkets could go a long way to saving space utilized by retail grocery stores. Check out the video below from Homeplus for some interesting tidbits.